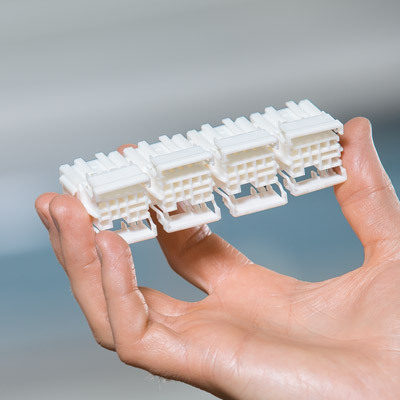 When it comes to injection moulding the chief demands for manufacturers are consistency, repeatability and accuracy. 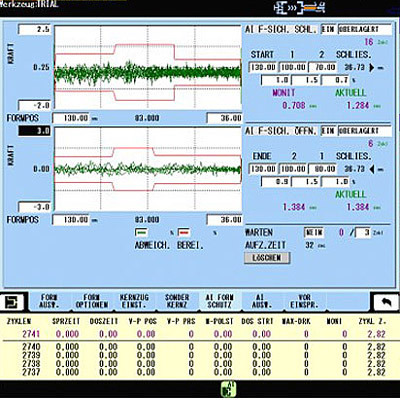 This equates with improved parts quality and the ability to achieve precision moulding using consistent sets of parameters which, once set, are monitored and controlled by the machine. That way you achieve the same high quality results every time and, given greatly reduced manual input, also benefit from improved up-times and cycle times. Cutting-edge machines achieve high levels of stability and repetitive accuracy through sampling intervals of under 20 microseconds. 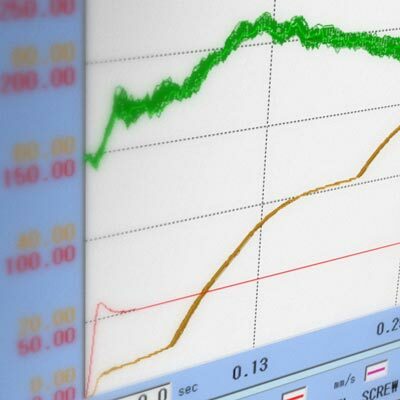 Machines capable of measuring backflow, provide operators with the opportunity to change the no-return valve before problems with the injection moulding process lead to poor parts quality. 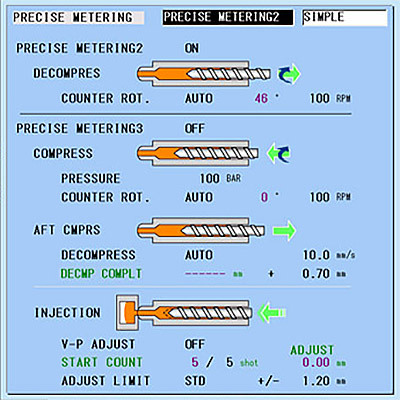 Achieving extremely consistent part weights even when viscosities are varied requires precise digital control of the screw. 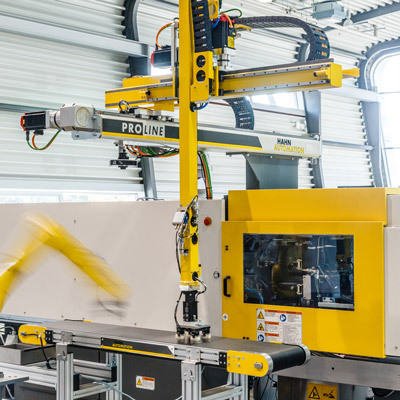 To avoid costly repairs and protect the mould clamp and ejector mechanisms, intelligent functions on some injection moulding machines monitor the torque applied to them, preventing damage should this increase beyond certain parameters. 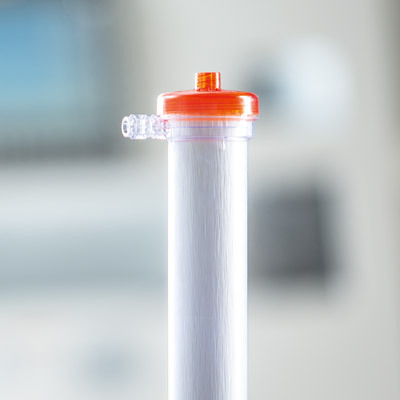 To ensure you benefit from improved cycle times, machines should come with functions such as pre-injection, pre-ejection and parallel movements. 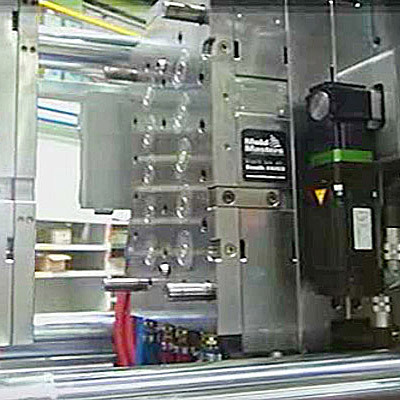 More complex applications often require inserts or labels to be added. 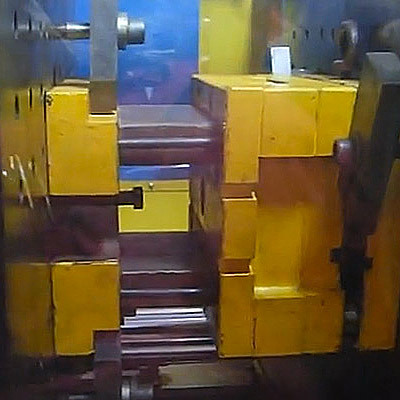 As part of a moulding cell, some state-of-the-art machines can be easily supplemented with robots that pick and place these inserts very precisely at high speed. Validating your moulds guarantees perfect moulding parameters, ensuring you get acheive the best possible results right from the start. 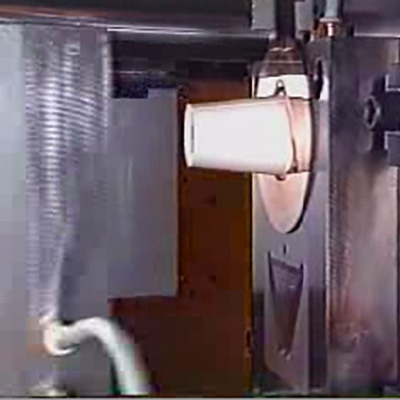 Use a mould test to define the best injection moulding process before you start production. This ensures that all parameters correspond perfectly and you obtain the best results from your process. Trade moulders and manufacturers no longer need different machines to produce different kinds of parts. 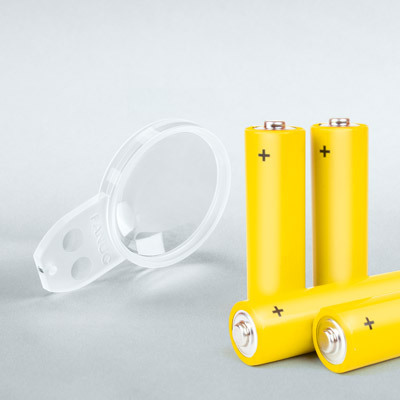 Some injection moulding machines are so versatile that they will produce anything from extremely precise and delicate items like camera lenses to products that require high levels of exertive force to produce (such as battery cases). For varied applications, such as automotive, more versatile machines are equipped with over six different screws. To ensure they can mould products with differing material characteristics, specifications should also include high duty injection units, active gas venting, sensitive mould protection and multi cavity pressure channels. 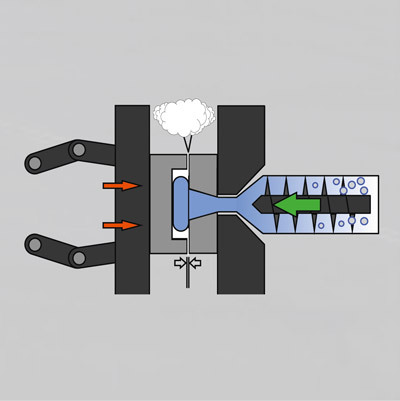 To prevent air and burn problems from occurring during the injection moulding process, some machines are equipped with a sensitive pre-injection function. 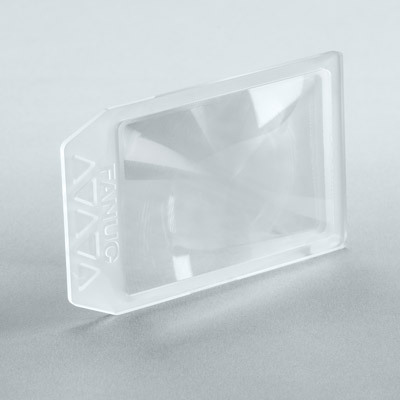 This useful feature is ideal for sensitive moulding applications such as the production of light guides. To produce intricate electrical parts, features such as high-speed acceleration injection control, active gas venting, intelligent plasticising control, sensitive mould production and multi cavity pressure channels are extremely useful. 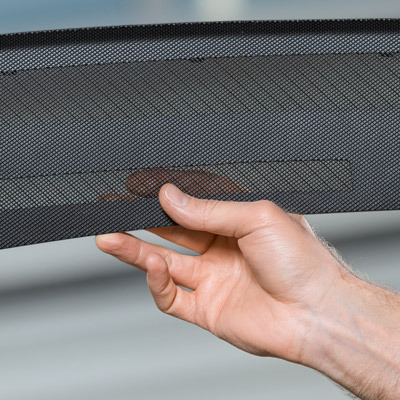 Given the critical nature of medical products, smart functionality designed to overcome material inconsistencies and gas issues are essential to ensuring highly consistent moulding and parts quality. 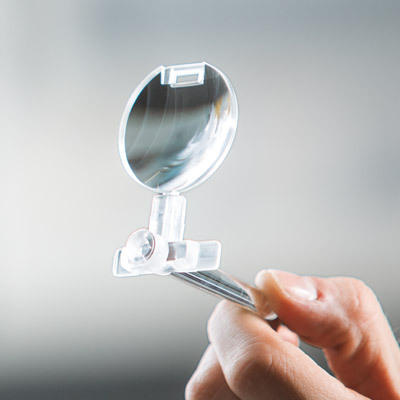 The production of optical products requires extreme levels of accuracy and consistency. The nature of these items requires machines to be capable of maintaining long high pressure holding times and providing exacting levels of control on both low and high speed pressure.